Treating one of the most common issues with aging—overactive bladder (OAB), that unpleasant persistent feeling that you have to urinate now—shouldn’t contribute to dementia. But it often does. 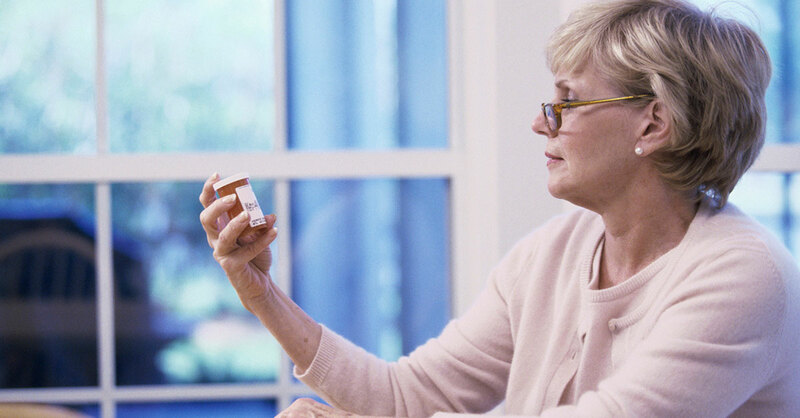 Here’s why: Too many people with OAB are prescribed medications for the condition that increase the risk for cognitive decline. The most disturbing part: One of the most frequently prescribed OAB medications is the worst choice in terms of cognitive risk. If you’re one of the 33 million Americans with OAB, read on to find out how to manage your symptoms…while protecting your mind. Background: OAB is one of those problems that gets more common with age. It is often accompanied by an increased need to urinate during the day and at night, and for many, urinary incontinence (leaking urine). For women, hormonal changes from menopause may play a role. For men, an enlarged prostate is often the issue. The best first approach to dealing with OAB is lifestyle. For example, pelvic floor exercises (aka Kegel exercises) can strengthen the muscles that stop and start the flow of urine, giving you more time to make it to the bathroom. Dietary changes such as cutting back on caffeine and citrus sometimes help, too. But if these don’t work, the first-line medical treatment for both men and women is a class of drug called antimuscarinics that inhibit involuntary muscle contractions. The problem: Some of these drugs are associated with a significantly increased risk for cognitive decline. That’s especially concerning since the people who are more likely to suffer from OAB are already at risk for dementia because they are, simply put, older. Study: Medical researchers from Henry Ford Health System, Harvard Medical School, Weil Cornell Medical School and elsewhere took a representative sample from the 48 million annual prescriptions for antimuscarinics in the US to determine how often they were prescribed for patients age 65 and older. They broke down statistics for the most common drugs in the class. Results: More than one-quarter of patients, 27.3%, received a prescription for oxybutynin (Ditropan). Here’s why that’s bad: Out of the six antimuscarinic medications used for OAB, oxybutynin is linked with the highest rates of cognitive decline in the elderly. It’s an older drug that has a broad-spectrum effect on the central nervous system. Newer antimuscarinics—including trospium (Sanctura), solifenacin (Vesicare) and darifenacin (Enablex)—have more limited effects and are safer in terms of cognitive side effects. The researchers estimate that based on the representative sample used in their study, more than seven million elderly people in the US are currently taking oxybutynin. Why oxybutynin and not another, safer antimuscarinic? This study can’t say for sure, but it’s likely because oxybutynin is the least expensive drug in the class. Surprising finding: Even though the FDA recommends that physicians monitor patients who take oxybutynin for cognitive changes, only 9% of elderly patients received a neurological exam when they were first prescribed the medication. Also surprising is that oxybutynin prescriptions have been increasing in recent years while use of newer and safer medications has been declining. Bottom line: If you have OAB, try lifestyle changes first before reaching for a medication. But if you need medication, don’t settle for general oxybutynin. Ask your doctor about newer antimuscarinics and about mirabegron (Myrbetriq), an OAB drug approved in 2012 which works by a different mechanism and is not associated with cognitive side effects. Also, oxybutynin is available as a brand-name transdermal gel (Gelnique) that, unlike its generic pill cousin, is not associated with cognitive decline.